Kildall’s residency at the organization yielded a body of work involving a prospector in the year 2049, one who is scavenging, reinvigorating, and resurrecting discarded materials at the dump. From a figurative latex mask to the circuitry of bulky electronics that simulate transmissions from the future, his work illustrates a future founded on re-purposing the present. These unusual materials in particular were used to create his sculptural works “The Sniffer” and “The Universal Mailbox,” which were accompanied by large wooden blueprints explaining the function of each imaginary device. As a part of the installation, Kildall performed as the prospector, scavenging the Recology premises. His consumption of vacuum-packaged food products in his video performance was probably the most jaw-dropping moment of the installation. (Fortunately, he did not get sick.) Please click here to read the rest of the piece. 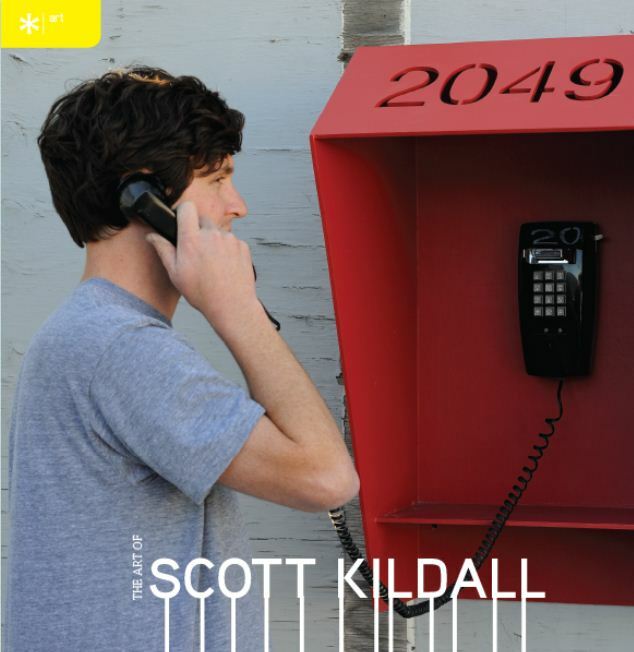 Posted in Art and tagged as 2049, asterisk sf, contemporary art, new media, scott kildall, sf recology. You had me at “dump”. More power to you, Scot!